I see a future where humanity will solve many challenges in data, energy and life sciences by a continuous miniaturization in device fabrication, down to the atomic scale. 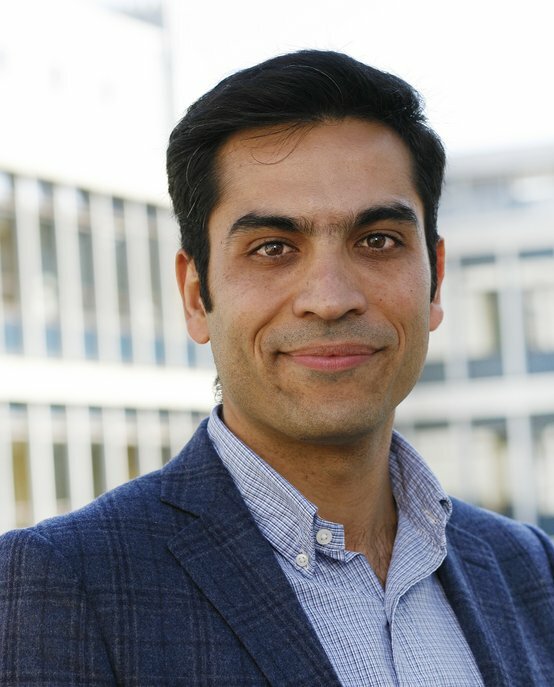 Hamed Sadeghian is an Associate Professor and Chair of Nano-Optomechatronics Instrumentation development at the Mechanical Engineering Department at Eindhoven University of Technology (TU/e). His areas of expertise include 3D nanomanufacturing, System architecture, optomechatronics, nanometrology and nano-optomechatronics instruments (NOMI). His research interest is to develop instruments where the core is based on interaction of electromagnetic or mechanical waves with matters, where often nonlinearities and dynamics at the nano-scales plays important role. Examples are development of the parallel AFM as a sub-nm, high throughput metrology and inspection solution for Semiconductor industry, high resolution optical microscopy with meta-instruments, 3D nanotomography (subsurface nanoimaging) to resolve invisible nanostructures under the surface and bio-instruments for ultra-early cancer diagnosis and identification of viruses. Hamed’s ambition and passion is to develop technologies that enable exploration and exploitation of the atom-scale world level leading to the real-world applications as well as valorize inventions through collaboration with industrial partners. This also includes acting as an incubator to start new/joint ventures. These create the instruments to image, measure and fabricate devices at the level of individual atoms at a humanly acceptable and economically attractive level. Hamed Sadeghian received his PhD (with honors) in 2010 from Delft University of Technology. He continued his career as a Postdoctoral fellow, developing several sensing and instrumentation methods. In 2014, he also received his MBA from Leuven Vlerick Business School, Belgium. He was also co-founder, CTO and Managing Director of Nearfield Instrument B.V., to industrialize nanometrology equipment for the Semiconductor Industry. In addition to his work at TU/e, Hamed is currently Scientific Director and Principal Scientist of NOMI program at TNO, where together with his team, he invented and developed the parallel AFM as a sub-nm, high throughput metrology and inspection solution for Semicon market. He holds more than 40 patents, and has authored more than 70 technical papers and co-authored a book. He is a member of editorial advisory board of Sensors & Transducers Journal. He is also a member of technical committee of SENSORDEVICES conference since 2010 till present. He is also a recipient of several best paper awards. In 2012 he was awarded the title ‘TNO excellent researcher’.